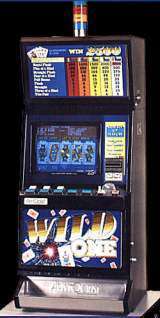 Wild One © 1997 Aristocrat. This is a "Two Pair Joker Poker" game. 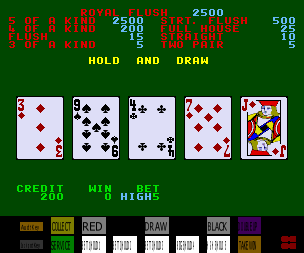 This game does not have a max bet Royal Flush bonus. Joker can substitute in a Royal Flush, there is no distinction between a natural Royal Flush and a Wild Royal Flush.